This pattern is one of my new favourites. I didn’t have to change a thing. It was straightforward and I found it to be a very relaxing knit, even with the staghorn cable to keep things interesting. 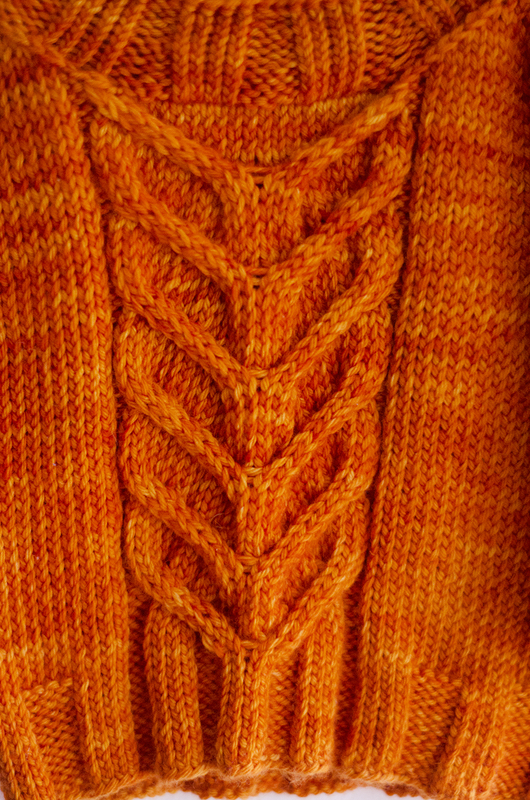 I’m finding my feet with cabling, and though this jumper needs some heavier blocking to really open it out, I love the way it ended up looking! Madelinetosh Tosh DK yarn is just beautiful; I’ve never knit with anything that works up so neatly. It’s soft and bright and if you’re working with the right pattern, it gives you a really professional looking finish. 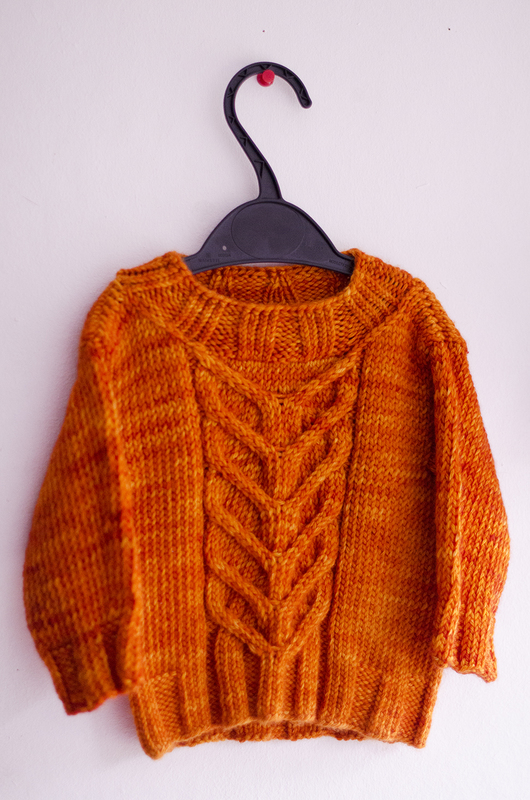 This jumper would knit up nicely for a boy or a girl and it works up faster than one might expect for a cabled piece! If you want to know more about the designer, check out her website and see all of the wonderful, mouth-watering things she has been cooking! Alternately, keep an eye on her Ravelry page to see when she adds new knitting designs! Oh my goodness this is gorgeous! The colour wow! I love it! you are soo talented! Thank you so much! I’m so pleased with this one.